Thank you for the abuse report. To help us process your request quickly, please fill out the form specific to your situation. WHAT HAPPENS WHEN YOU REPORT ABUSE? Reports entered through the form are given our highest priority. Google takes abuse situations like this very seriously. As appropriate, we may warn users or discontinue Gmail service for the account(s) in question. Center at http://gmail.google.com/support/, or by clicking ‘Help’ at the top of any Gmail page within your account. We appreciate the urgent nature of your message, and thank you for your cooperation. Ah…no. I forwarded you the offending email. You deal with it. I’m not filling out any form. Your job. If I have to fill out a form, even more of my time is wasted. The point of avoiding spam is to save time. Get one of your tech guys on it. The Times Magazine has an article on the accuracy issues of Wikipedia. ACCORDING to Wikipedia, the online encyclopedia, John Seigenthaler Sr. is 78 years old and the former editor of The Tennessean in Nashville. But is that information, or anything else in Mr. Seigenthaler’s biography, true? The question arises because Mr. Seigenthaler recently read about himself on Wikipedia and was shocked to learn that he "was thought to have been directly involved in the Kennedy assassinations of both John and his brother Bobby." "Nothing was ever proven," the biography added. Mr. Seigenthaler discovered that the false information had been on the site for several months and that an unknown number of people had read it, and possibly posted it on or linked it to other sites. If any assassination was going on, Mr. Seigenthaler (who is 78 and did edit The Tennessean) wrote last week in an op-ed article in USA Today, it was of his character. The case triggered extensive debate on the Internet over the value and reliability of Wikipedia, and more broadly, over the nature of online information. Wikipedia is a kind of collective brain, a repository of knowledge, maintained on servers in various countries and built by anyone in the world with a computer and an Internet connection who wants to share knowledge about a subject. Literally hundreds of thousands of people have written Wikipedia entries. Mistakes are expected to be caught and corrected by later contributors and users. The whole nonprofit enterprise began in January 2001, the brainchild of Jimmy Wales, 39, a former futures and options trader who lives in St. Petersburg, Fla. He said he had hoped to advance the promise of the Internet as a place for sharing information. It has, by most measures, been a spectacular success. Wikipedia is now the biggest encyclopedia in the history of the world. As of Friday, it was receiving 2.5 billion page views a month, and offering at least 1,000 articles in 82 languages. The number of articles, already close to two million, is growing by 7 percent a month. And Mr. Wales said that traffic doubles every four months. By and large, my answer is "yes." However, anything as open and huge as Wikipedia is bound to have a certain number of vandals who post garbage. As the article points out, the project is so overwhelmingly gigantic you cannot have adequate oversight. I love Wikipedia for the fast answers but it seems to me that they should begin some sort of registration mechanism so that your right to contribute is revoked if you cause problems. Allowing people to contribute anonymously at this level only invites trouble. This article in the Times highlights the extent to which AOL’s constant efforts to "reinvent" itself will continue to be fruitless. Like millions of others, AOL was my first Internet experience. It was a phenomenal service on many levels, and the instant messenger alone allowed me to "speak" with family and friends more in one week than I had the previous decade. I was a Community Leader. I met my wife through AOL. I had two accounts. Any shortcomings with spam and poor interfaces with other services due to proprietary programming was a small price to pay for the virtual 24 hour "Cheers" tavern we enjoyed. This was all due to Steve Case, who envisioned more than just an Internet portal, but thousands of specialized online communities where a guy in New York could BS about the Yankees with someone in LA, or even Asia. Around 2001, as Case became more of a hands off executive, the erosion began. Online communities, where one could go to read and post messages on anything from baseball to dogs to gardening, went from well moderated destinations to cesspools of trolls and spam. Terms of Service was watered down to the point where trolls members who would have previously been banned from the boards became regulars. Community Leadership’s hands were tied. The experience we thought nothing of paying twenty bucks a month for no longer seemed like such a bargain. Then they raised the price. What a formula! More money for less in return. When those online communities became less of a value (or none at all), previously loyal members were left with icons, spam filled inboxes, and an application that slowed their computers down. 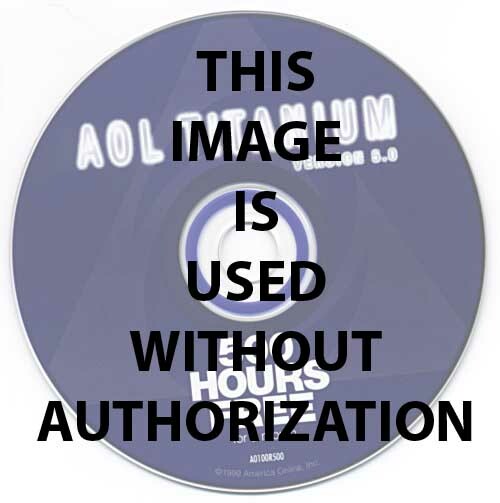 AOL decided that more bells and whistles were the answer (instead of the obvious, which was to keep the things that kept members loyal at a high quality), although spam controls never seemed to be a priority until it was far too late. I wasn’t an AOL member for bells and whistles, especially when my two biggest issues, security and spam, were not addressed. So since 2002, members have been leaving in droves. All the while, AOL has kept shrinking – to 21.2 million subscribers in January from 26.5 million in 2002 – as the dial-up customers it brought online shift increasingly to high-speed access from their phone and cable companies. It isn’t just dial up, however. I still have two AOL accounts, but I never use them. I had some hope that things might improve, but only a week or so ago I received an email informing me that the Community Leader program was to be discontinued. The thousands of volunteers who moderated the online communities, exchanging hours of time for a waived monthly fee, are to be no more. It makes sense; our hands have been tied for years anyway. It marks the official end of an era that began dying 4 years ago. In my view, it is no coincidence that AOL’s stock has been a literal match of the quality of member’s experience. What was "Cheers" is now an overcrowded subway restroom. AOL doesn’t need more features. It needs Steve Case.